A real estate domain name is the address that your clients will use to visit your website and is an essential part of your overall branding. Potential clients will see your website, not just on the internet, but as a part of all of your marketing collateral—from business cards to presentations. One of the most important aspects of selecting your future website address is finding one that’s available. When checking for real estate domain names, try using Bluehost to see if it’s still available. You may have to go through a number of names that are already taken, but be patient. Once you’ve found the right one, purchase it right away along with hosting for your website for just $2.95/month. Click here to get started. As long as your company and business is professional, don’t be afraid to be a bit playful with your real estate domain name. Nest Seekers is an excellent domain name that is memorable and cuts across locations. Although a serious international company with fast growth, the domain name plays on the concept of everyone seeking a “nest,” no matter where they live. Staffed with former military service members and spouses, AgentHero highlights their unique company position through their real estate domain name. The website discusses their agent’s service in the military with great pride, as well as the carryover to serving their consumers. In examining real estate domain name ideas for your business, think about branding a distinguishing feature of your group. If you’re interested in reading more about why hiring a veteran might be a great move for your real estate business, TheClose.com wrote a great piece on 11 reasons why military veterans make great realtors. He stated further that there are other perks to their choice aside from their SEO. “Our domain name might seem like the obvious solution for a team of realtors specializing in duplexes, and that’s exactly what we wanted it to be, and the alliteration in ‘Duplex Doctors’ has also proven extremely helpful in developing a brand that’s easily recalled by consumers when searching for us.” Consider using alliteration when brainstorming real estate domain names, and be more memorable. To learn more about how to buy a duplex, triplex or fourplex, we’ve got you covered. We’re betting you already know what state these realtors operate in (Georgia), and that’s exactly the point. Real estate domain names ideas can be as simple as finding local references that everyone understands and pairing them with what you do. This type of real estate domain name also lends itself to wonderful branding on business cards, T-shirts and even sponsorship banners at events. If you’ve ever wondered what it takes to become a real estate agent in Georgia, we give you the information here. This clever real estate domain name was built as a take on the agent’s name. Eileen Bedinghaus is an experienced agent of over 20 years, and St. Petersburg, Florida, is her house. Like many fashion designers (referencing the “haus” of their brand), Bedinghaus establishes herself as a sort of creative lead all her own. It’s easier to remember than her own name, and a great play on words. Brick and Mortar nails the descriptive concept of what they do. Never hesitate to use straight-forward descriptors when thinking of real estate domain name ideas. They are often memorable, clear, and a great kicking off point for your brand to develop for years to come. This type of domain name would work with a variety of real estate businesses, such as home renovation or flipping. Flipping homes is a hot profession right now, and we show you how to make money flipping houses in seven steps. A name that inspires trust is always a solid domain choice. The co-founder, Evan Roberts, had a great strategy for searching real estate domain name ideas that anyone could use: Adjective + Service Description = Perfect Domain Name. Sometimes real estate domain names do not match the name of the company, and that’s okay. Although it’s always ideal if they do, sometimes you are able to register a domain name that’s just too good to pass up. In this case, we understand that the domain name might be easily something typed into a search engine, and that is likely the angle Aumann Bender & Associates is going for—to be discoverable for luxury southern California realty. Most realtors, at some point in their career, dream of selling luxury properties. If you’ve ever wondered how, we give you 21 tips to break into the luxury market. The porch light is a staple of American homes and is often referenced in pop culture through songs and writing. PorchLight Real Estate Group really capitalizes on the iconic home reference by making it front and center for their real estate group. When thinking about your own real estate domain name ideas, consider iconic references that are synonymous with simply being home. Board and Park provides services to buyers, sellers, landlords and others. Even if you don’t automatically get the Monopoly reference, the real estate domain name is distinctive and reflects well on the business. If you have particular real estate-related pop culture elements that you like, be sure to toss them around when thinking of real estate domain name ideas. People on Marco Island are often buying vacation or rental property. We show you how to buy a vacation rental property in six steps to call your own. Making a reference to something luxurious will often be a winning strategy because people want to be associated with exclusivity. 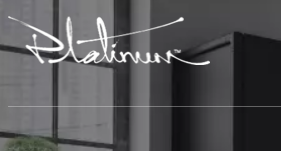 Platinum Properties NYC is accurately named, selling upscale properties in the New York City area. Finding real estate domain names is much like finding company names, because they are both so often intertwined. Here is our list of 27 real estate company names ideas that might give you some ideas moving forward. Compass is one of the fastest growing real estate companies in the United States right now, and their reference to guiding people to their home brings a wonderful feel to any potential client. It is simple and easy to remember, with a name that works no matter how large they expand. If you’re a company on the move to include many markets, having a name like this—that omits geographic references—is a perfect choice. While Compass is known for its real estate technology that’s changing the landscape of real estate, feel free to check out the 29 best real estate software and tools for agents in 2018. If anyone is selling a lifestyle, it’s those who sell property on an island. Naming your real estate company Hawaii Life Real Estate Brokers is certainly putting the value proposition front and center. For a state that has significant tourism comprised of those who likely yearn for the Hawaii life, selling it to those who want it 24/7 (or at least in vacation home format) is a smart idea for their real estate domain name. The Jills have sold $3.4 billion since 2005, so don’t let the quirky name fool you. What we love about real estate domain names like this is that are memorable and reflect a true component of the company. The team co-leaders, Jill Hertzberg and Jill Eber, have been selling luxury Miami real estate for years, and have built a powerhouse of a team. You may not have two team leaders with the same first same, but if there’s a trait you all share in common, it might be a wonderful beginning to generating your real estate domain name ideas. If you’re going to sell real estate in one location, branding yourself as the best often has rewards. 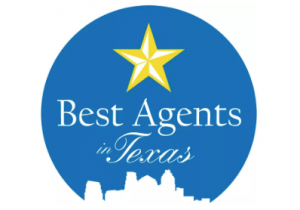 Best Agents in Texas primarily sell property in Austin, but as you might imagine, could certainly expand outward to sell elsewhere in the state. Real estate domain names like this are easy to remember, and might pick up some search traffic as well for someone specifically looking for the “best real estate agents in Texas.” Texas is ranked one of the best states to start a business, and establishing a footprint there that can carry into bigger cities is a smart move for this real estate company. Some people choose to use their domain name as their business name, and this can lead to even more difficult decisions than coming in with domain name ideas after the business has been established. Co-founder of Homes and Villas Abroad Ainsley Llewellyn had a fantastic way in which she came to her domain name, “My co-founder and I had been agonizing over a name for two or three days and ended up in an animated discussion in a pub. A barman passing our table chipped in and asked: ‘What will the company do?’ Our answer: ‘Sell homes and villas abroad.’ Barman with a shrug: ‘Why not make that the name?’ Simple and inspired.” Llewellyn reports that her company benefits quite a bit from organic search traffic because there are people searching the exact terms of her domain. Charleston Home Rentals snagged a real estate domain name that just makes you feel good to use them. Evoking an emotion in your name but still showcasing what you do is a great way to kick off thinking about real estate domain name ideas. Matt Manaker, the Licensed Property Manager in Charge, stated that they chose the name because it reflects their philosophy and mission. Sometimes one person is synonymous with the brand, and when that’s the case, it’s perfectly fine to lead with it. Barbara Corcoran is a real estate legend, and uses her fame and name front and center in building her brand online. This real estate domain name strategy might not work for everyone, but if there is a well-known founder, it can sometimes add a bit of cache. If you aren’t familiar with Barbara Corcoran, we listed her among our most inspiring Ted Talks for realtors for her thoughts on failure building her career. Watch it here. This fun real estate company calls their agents “detectives,” and they report that they’ll find that perfect home. Of course, Sherlock Homes is a fun take on Sherlock Holmes, and they use the cultural reference for a memorable domain name. Using cultural references can be interesting and quirky—just be sure if you are using them for your business or real estate domain names, they don’t backfire if not widely understood or a bit too out there for the general public. Sherlock is a pretty widely-known reference, and not offensive in the least. Pat and Chuck Vosburgh are a married couple who sell real estate, and they build their brand on their reputation. They selected a real estate domain name that represented them and what they do. 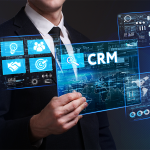 It’s clear, direct, and integrates their identity as an integral part of their business and feels more personal. Yes, they’re Canadian! Zolo has a great story of how they selected their real estate domain name that was just too good not to feature. Romana King, Director of Content at Zolo, gave us some great tips for people looking to establish a unique real estate domain name, and they also told us how they came up with theirs. Building on the back of a legend, Atlas Real Estate Partners was able to find a great abbreviation for their company when looking at real estate domain names. With exact match domain names being difficult to acquire, this does the job to abbreviate the name while still being easy to remember. While Atlas specializes in real estate investment, most of us have dabbled with or thought about the real estate investing game ourselves. If you don’t know where to start, we give you four ways to get started in real estate investing. If you ever wonder how people get investment property loans to get started, we talk about your options for building a business that can provide years of passive income. There is a reason you see so many real estate domain names linked to the team leader, and that’s branding consistency and personalization. Seeing signs around town that match the domain name is the classic way that clients can easily find you, but what’s more is that it feels more personal than a general business name. If you’re searching for traditional real estate domain names, an easy formula for your team is simply capitalizing on the lead’s name. Finding perfect real estate domain names for your business can be a challenge in a saturated market, but by using the model of others, you can help find the right fit for your business. Be sure as you are checking your real estate domain name ideas on the Bluehost domain name checker that you use the examples above to find a combination that reflects what you do and who you are. When you’re finally ready to pull the trigger and have the perfect name, sign in to Bluehost and buy it ASAP. Bluehost offers both a domain and customized email for just $2.95 per month and is one of the best deals on the market to get started. Good domain names are so hard to get these days, but maybe consider a subdomain on an existing domain? At for.properties and for.land you can own a domain for something like calljim.for.properties as an example and it will work just like a regular .com domain. There are other options like get.realtor as well. Some other options to consider. I agree with some of your points. The fact of the matter is Google controls 95% of online content.Yahoo / Bing share approximately 2% of the online content. In order to rank at the top of page one of Google. One has to accept the fact this is going to be a major expensive. I completely agree the shorter the domain name is. It’s much better than long tail domain names. As you want your domain name to promote direct traffic and not rankings. That being said, I purchased a 7 letter domain asset along with it’s matching 1.800 vanity number and it wasn’t cheap. $150,000 between the two assets. However I’m a marketing & lead generation professional. I use billboard, radio, television, print media, social media and my website to promote my brand. However the 1.800 prefix one word vanity number made my business. To the point, I hired 5 people full time to handle all the inbound calls. Then I give these leads to other agents for a referral fee. I’m a realtor however I don’t sell homes anymore. I’m a lead generation expert. In short, this is a business like any other business and it takes big money to make big money. Zillow, Trulia, Homes.com & Realtor.com “ know “ 99% of realtors will not spend the marketing capital on their on advertising, marketing & branding is platforms. Therefore realtors pay them. It’s a great business model. In short, do not get into this business under capitalized and without a great advertising platform. I agree completely. A domain name is important, but not worth spending money on unless you have a viable long term strategy. David – thanks got sharing. I really liked your article. 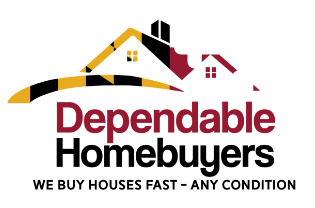 I’m currently deciding which web site builder/CMS to use for a a realtor website in maryland. I’m a non-techie when it comes to HTML and i’m most concerned with SEO so folks can find me as a new player in my market. I was curious was how things were working for your father’s website. I just ran a Google search for “Lake Gaston real estate” and lcrlakegasyon.com did not come up on the first 3 pages of search results. I know it takes some time for new domains to get traction. I wanted to see if you had any updates or additional insights though based on your experiences so far for a preferred website builder. Thanks again! When I originally built my father’s site I used Wix instead of Weebly. As I discuss here there are some issues with SEO with Wix website builder so I recently made the move to Weebly. It took me a little while to get the site moved over and now that I have we have started the link building process. I expect rankings to improve over the next 6 months or so. The same article I link to above gives my insights for a preferred website builder. If you have any other questions let me know!